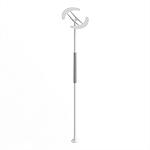 Ingrid Classic Cane and Crutch Tip Medium is extremely durable and provides for an excellent grip both indoors and outdoors. 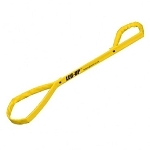 The Ingrid is a durable replacement tip for standard size 5/8 to 7/8 inch canes and crutches. This high quality polyurethane tip is extremely durable and provides for an excellent grip both indoors and outdoors. 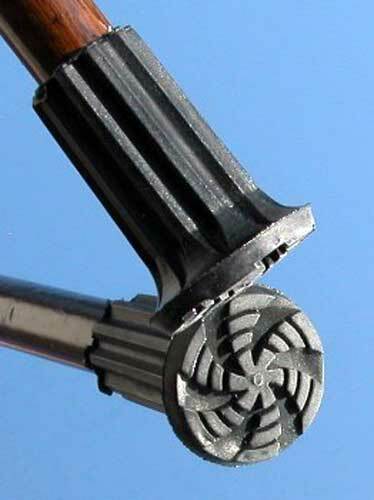 People using canes or crutches for mobility will find increased safety because the tread pattern at the bottom of this tip does not wear as quickly as a conventional tip. The "tire track" treads at the point of contact provide an excellent grip on most surfaces. Inside the tip is a rust proof metal washer made of zinc plated steel which prevents the cane or crutch from wearing through the tip. 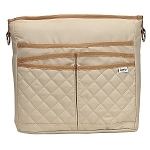 The convex bottom enhances both walking comfort and durability. 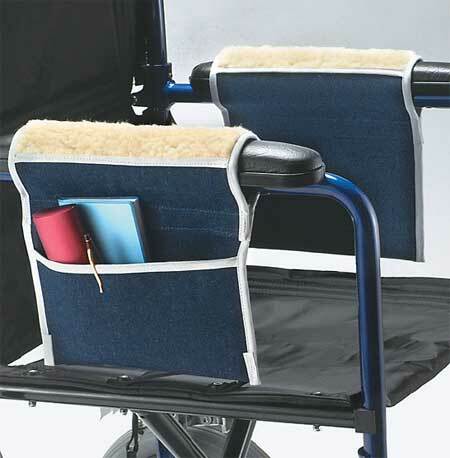 The patented elastic neck adjusts to the dimension of the cane or crutch shaft, making it easy for the user to replace tips as needed. The Ingrid Classic Cane & Crutch Tip Medium is manufactured in Sweden. Fits: Canes and crutches with 5/8 - 7/8 inch (16 - 22mm) diameter. I bought these cane tips because they were polyurethane. The ordinary drug store tips crack like old tires after a year or so. These tips are well made. The price is too high... if the fancy retail blister pack was not used, the price could be lower. These tips don''t stick as tight to the cane due to the polyurethane and will pull off the shaft if they get wedged in a crack. 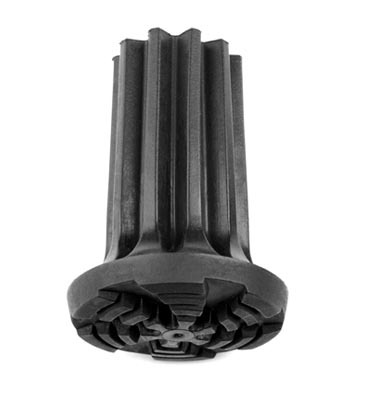 The fluted part is not solid rubber, there are grooves inside open to the top that collect dirt. Q: I have a friend who is on crutches, he slips in restaurant wit smooth floor when rains outside. I am wondering if Ingrid tip with retractable spike will work on his crutches, I don't know what brand his crutches are, or if they need to be Ingrid crutches? 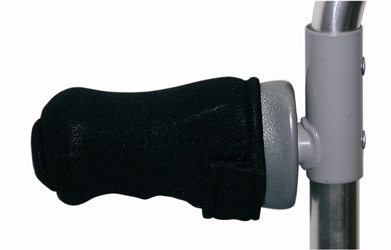 A: The Ingrid is a durable replacement tip for standard size 5/8 to 7/8 inch canes and crutches. Q: what diameter canes does the tip fit ? 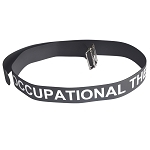 A: Fits: Canes and crutches with 5/8 - 7/8 inch (16 - 22mm) diameter. A: Yes, International Shipping is available. Please see our "International Shipping Policy" and "Shipping Rates" located in the upper right corner of the Home page under Ordering Info: Help + Policies.